The study deals with the effect of chemical and physical modifications on thermal properties and solubility properties of films based on amaranth flour starch–protein hydrolysate. Biodegradable and edible films were prepared by casting a 25% (w/w) solution of hydrolysate containing 20% glycerol and various additions of dialdehyde starch (0, 1 and 5%). 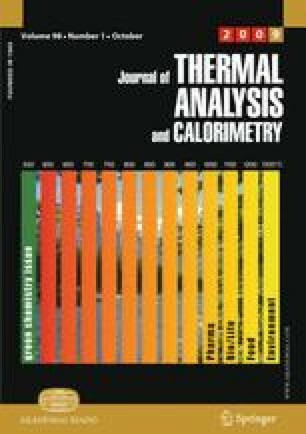 After thermal exposure of films at 65 and 95 °C (for 6 and 48 h), thermal properties of films were studied employing differential scanning calorimetry and thermogravimetric analysis. Film solubility tests were performed in an aqueous environment at 25 °C. Chemical and physical modifications of films markedly affect their thermal properties and solubility. The authors would like to thank to Ministry of Education of The Czech Republic for financial support to this work executed under MSM Grant No. 7088352102.